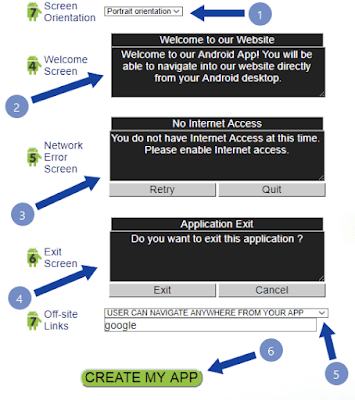 Creating a mobile android app for your blog is very easy if you know the right instructions to do it. 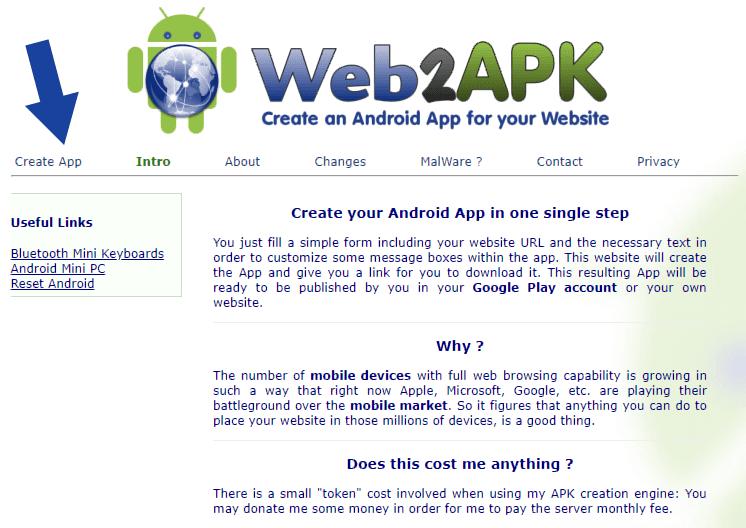 Nowadays, many websites allow building a free android app in minutes without any technical knowledge. All you need to do is, add your blog URL into their app generator tool and their automated tool will produce a free app for you. The basic requirements to build an app is not much, all you will need is an icon, title, the URL of your new blog and you are good to go. So, in this tutorial, we will show you the best methods to convert any online blog or website to an Android application without any coding knowledge and zero investment. So, let’s know how you can do that. In the tutorial, we will show you the way to build your Android app via the Web2apk online website. 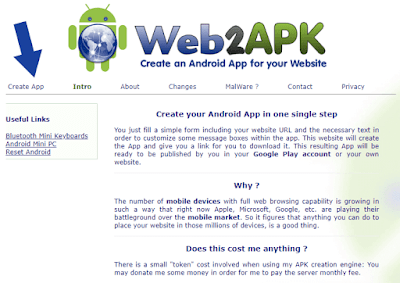 Web2apk is free of cost, and the best part about it is that there will be no watermarks on your app so no one will be able to know how did you build the application. Just follow the below steps, and your app will be produced within a few minutes. 1. 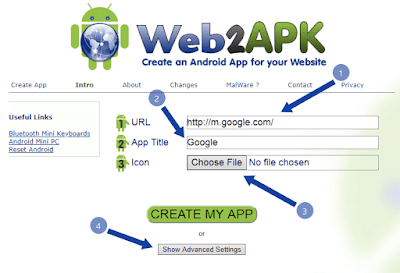 In your browser, type Web2apk, open the website and click on Create App. 2. Enter the URL of your blog or website, name a title, select the icon and create on “Show Advanced Settings”. 3. Now, in the Advanced settings, select screen orientation as portrait, write welcome screen text, network error screen, exit screen, and in the off-site links tab, select USER CAN NAVIGATE ANYWHERE FROM THE APP, and click on Create my App. 4. 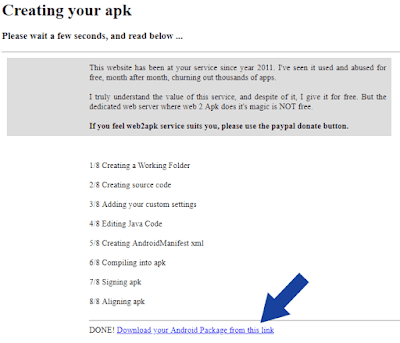 Wait for a few seconds, and your Android app is ready. Download it, and share it wherever you want. Congrats! 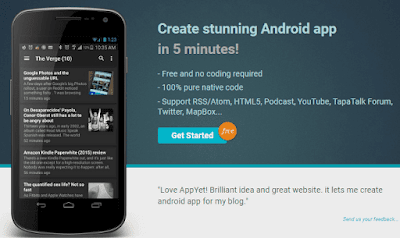 Now, you have successfully converted your blog or website to an Android app for free. Now, below we will show you the different ways you can convert your blog to an App. If the above-mentioned tutorial did not work for you, then select any other alternatives from below options, go to their site and follow their instructions to covert your blog to the Android app. 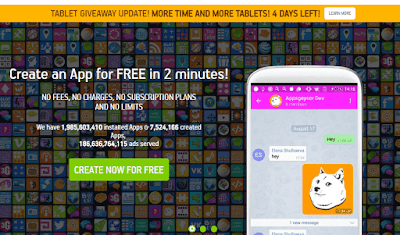 It is a popular online Apps builder website, where you can create different mobile apps such as messenger, browser, convert your site to the Android app. After creating your app, you can easily monetize your app and receive payments directly from your AppyPie dashboard. They offer a free profile with limited features, but if you want to use their full features then you need to upgrade your profile basic or gold plan. It is another popular free app and game maker online tool, they provide various types of tools and themes to start your app without any coding, publish them to Google Play store and then monetize your app with Admob and earn money through your free app. AppGeyser even provides a clear interface dashboard so that you can always use and track all the features from your single dashboard. It is another of the best website to convert your online sites into an Android and iOS app. With Zeroqode, you can easily convert a mobile application without any coding knowledge, their implementation procedure is very simple. You can join this site as a free, later on, if you think it is best for you to work then you can upgrade your plan and remove all the limitations. 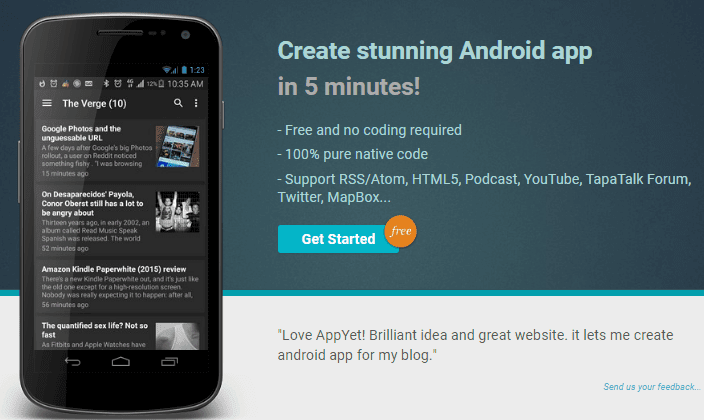 AppYet is a simple Android app creator tool that can be used to convert a blog to an app for free within a few minutes. 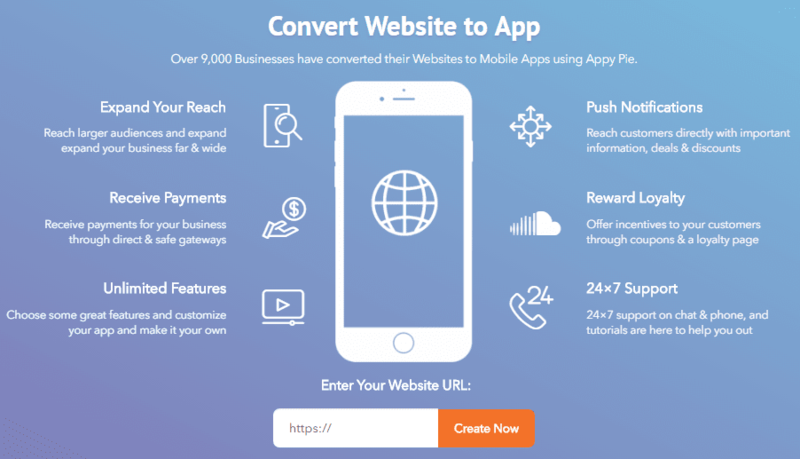 All you need to provide is the URL to your website, and their online converter tool will convert and generate the Android apps for your website. Converting your online blog to a mobile application is very profitable and the source of your traffic will increase as well. 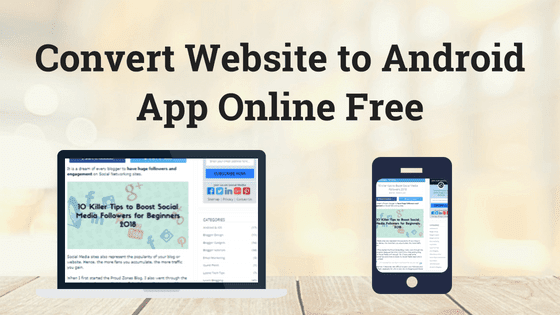 Now, your next task is to add the app in your blog and Google PlayStore to get maximum downloads and even earn money by activating Admob advertisement in your mobile app for PlayStore.